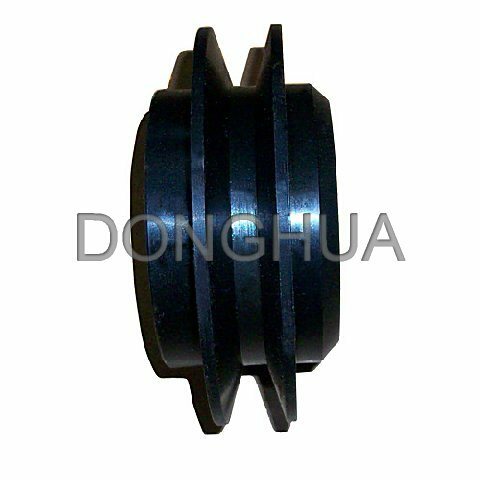 DONGHUA Chain Group is the most professional manufacturer of power transmission in China, manufacturing roller chains, industry sprockets, motorcycle sprockets, casting sprockets, different type of couplings, pulleys, taper bushes, locking devices, gears, shafts, CNC precision parts and so on. We have passed ISO9001, ISO14001, TS16949 such quality and enviroment certification. The material is cast iron GG25Â GG20(HT200)Â and after machiningÂ all pulleys are being phosphated. 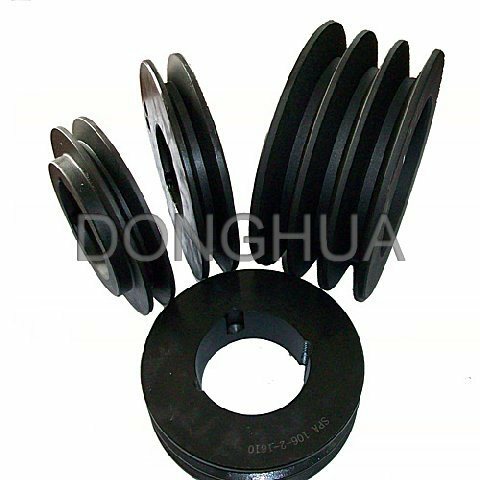 Each pulley is strictly dynamically balanced with high precision dynamical balancing,Each pully is used safely and reliably. Hangzhou Donghua Chain Group Co., Ltd., one of the largest chain manufacturers in China, has five subsidiaries including Hangzhou Ziqiang Chain Drive Co., Ltd. Hangzhou Dunpai Chain Co., Ltd. And Hangzhou Donghua Power Transmission IMP. & EXP. Co., Ltd. etc. Hangzhou Donghua Chain Group Co., Ltd. Was founded in November 1991. The company is specialized in producing all kinds of standard chains and special chains, e. G. A or B series chains, automobile chains, stainless steel chains, combine harvester chains, heavy-duty cranked link transmission chains, stereo garage chains and maintenance-free chains etc. Surface Treatment Annealing,Â naturalÂ anodization,Â heatÂ treatment,Â Â polishing,Â nickelÂ plating,Â chromeÂ plating,Â znic plating,yellowÂ passivation,Â goldÂ passivation,Â Â satin,Â Black surface painted etc. ProductsÂ Available sprockt chains, pulley, shafts(axles,Â splineÂ shafts,Â dartÂ shafts),gearsÂ (pinions,Â wheelsÂ gear rack)Â bearing,Â bearingÂ seat,Â Â bushing,Â coupling,Â lock assembly etc.